Specifically the stuff that connects masons to early christians. Also in the book it says that the masons were the builders of the ancient megaliths such as king solomons temple and the pyramids of giza. The most interesting parts for me are about the masons being called masons because of once having the knowledge to build megaliths. Let me get back to you on that and seperate legend from reality. I don't want to give you incorrect information. Thank you for the question. Why is freemasonry loaded with saturnian symbolism? Hear of the Order or Cult of the Black sun? I am really trying to understand. If Saturn worship is considered the left hand path, why incorporate it into Freemasonry? Which is supposed to be a right hand path organization? You do realize that he's being sarcastic right? But the truth should be told even if there are blind dismissive types out there. Symbols are arbitrary and ambiguous, FYI. 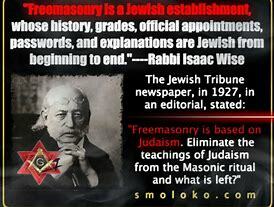 As for the Rabbi, that is his opinion, but they carry no weight or authority in Freemasonry. The first mention that the Great Seal was connected to the Freemasons came in 1884, when Harvard Professor Eliot Norton wrote that the reverse of the Great Seal of the US was a “dull emblem of a Masonic fraternity.” It seems the good Professor was a little lacking on knowledge and didn't have all the facts surrounding the creation. The first committee charged with creating the Great Sea was established on July 4th, 1776, and was composed of Benjamin Franklin, Thomas Jefferson, and John Adams with Pierre du Simitiere as the artist. Ben Franklin was the only Freemason. Franklin proposed a design a scene similar to Moses at the Red Sea with the Egyptian Pharoah being overwhelmed with the phrase “Resistance to Tyranny is Obedience to God.” Jefferson proposal was Israel being led through the wilderness while Adam’s was of Hercules between the rugged path of Virtue and the flowery meadow of Sloth. These were all rejected. Du Simitiere contributed much to the future design, such as “E Pluribus Unum” , the shield, the Eye of Providence in the radiant triangle. The Second committee was composed of James Lovell, John Morin Scott, and William Churchill Houston with the help of Francis Hopkinson (Signer of the Declaration of Independence, helped design American flag, and designed many government seals). Hopkinson's first design had a shield with thirteen diagonal red and white stripes, supported on one side by figure bearing an olive branch and representing peace, and on the other an Indian warrior (which later be replaced with a soldier) holding a bow and arrow, and holding a shiver. The crest was a radiant constellation of thirteen stars. The motto was "Bello vel pace paratus", meaning "prepared in war or in peace“ (a theme used later with the Eagle holding the olive branch and arrows). The reverse, in Hopkinson's words, was "Liberty is seated in a chair holding an olive branch and her staff is topped by a Liberty cap. The motto `Virtute perennis' means `Everlasting because of virtue.' The date in Roman numerals is 1776.“ From this committee the following would be incorporated into the final design: the white and red stripes within a blue background for a shield, a radiant constellation of 13 stars, and an olive branch. The Third committee was composed of John Rutledge, Arthur Middleton, and Elias Boudinot with the help of William Barton (a heraldic expert). This time, the figures on each side of the shield were the "Genius of the American Confederated Republic" represented by a maiden, and on the other side an American warrior. At the top is an eagle and on the pillar in the shield is a "Phoenix in Flames". The mottos were "In Vindiciam Libertatis" (In Defense of Liberty) and "Virtus sola invicta" (Only virtue unconquered). On the reverse, there was used a pyramid of thirteen steps, with the radiant Eye of Providence overhead, and used the mottos "Deo Favente" (With God's Favor, or more literally, God Favoring) and "Perennis" (Everlasting). The pyramid had come from another Continental currency note designed in 1778 by Hopkinson, this time the $50 note, which had a nearly identical pyramid and the motto "Perennis". Barton had at first specified "on the Summit of it a Palm Tree, proper", with the explanation that "The Palm Tree, when burnt down to the very Root, naturally rises fairer than ever", but later crossed it out and replaced it with the Eye of Providence, taken from the first committee's design. Again, Congress rejected the submitted design. From this committee the following would be incorporated into the final design: eagle and a pyramid of 13 steps. The Fourth and final committee was composed of only Charles Thomson, Secretary of the Congress, who took elements of the previous committees and added “Annuit Coeptis”, “Novus Ordo Seclorum” and finally came out with the design we have today. Charles Thomson had received classical training and worked as a Latin tutor at the Academy of Philadelphia. 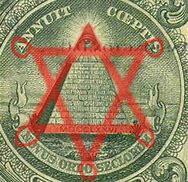 So many theorists believe that "Novus Ordo Seclorum" translates into "New World Order" when in reality it translates to "New Order of the Ages" and America was. With assistance, we had trounced on one of the mightiest empires the world had seen in a long time. The country had limitless potential and we were establishing a "government of the people, by the people, for the people." Some of the theories include the number 13 which many speculate is a very significant number with Freemasonry. I've read about all sorts of elaborate measures taken to saturate the Great Seal with 13 because it correlates to something within Freemasonry, yet they always seem to dismiss the simple and obvious explanation of the original 13 colonies. Many point out that because Freemasonry today uses the All-Seeing Eye as a symbol and that the Great Seal has the Eye of Providence above the pyramid that they must be connected. One thing I have learned in my research and time in Masonry is that symbols do not have a singular or exclusive meaning, interpretation, or use. While both interpret to represent God, the Divine, this doesn't constitute a direct connection or that the Masons are somehow involved with the design. Symbols for a long time were the preferred method of non-verbal communication as so many were illiterate. Actually I didn't realize you were being sarcastic. I believe many judges are indeed Masons, as are policemen and many people in government. I don't think that's silly to believe. I don't believe there is a diabolical Masonic conspiracy, however I think Masonic organizations and members are utilized. I forgot what documents I saw, but there was a list of judges and next to the names of some of them, they were labelled as "illuminated", and also some other information. Yeah I know documents can be doctored but it had something to do with the way the document was obtained and other authentic traits (to make me believe it was genuine). I'll post it if comes to mind. Anyway no biggie. What is not opinion is that Free Masonry has many elements in it that are from the Bible (old testament / Hebrew bible), which is basically "Jewish" or whatever you want to call it. The last information I saw was that only a small percentage of judges and police were Masons. We Masons come from all walks of life. Well, the central myth of the Blue Lodge (sometimes referred to as Ancient Craft Masonry) is the building of King Solomon's Temple which is Old Testament. How? Hopefully your answers is something funny like, 'unwittingly'. I forgot what documents I saw, but there was a list of judges and next to the names of some of them, they were labelled as "illuminated", and also some other information. Sounds believable. How about a linky? Freemasonry can't be called a "secret society" in a literal sense. A truly secret society forbids its members to disclose that they belong to the organization, or that it even exists. Much of the Masonic ritual is in books called "Monitors" that are widely available, even in public libraries. Most Freemasons wear rings and lapel pins which clearly identify them as members of the fraternity. Masonic lodges are listed in public phone books, Masonic buildings are clearly marked, and in many areas of the country Masonic lodges place signs on the roads leading into town, along with civic organizations, showing the time and place of meetings. With that being said you can know all the passwords, grips, and ritualsn, but you'll never know what it means to be a Mason unless you join.